Properties belonging to four of the media outlets that the Turkish government seized under post-coup emergency rule have been put up for sale by the state-run Savings Deposit Insurance Fund (TMSF). 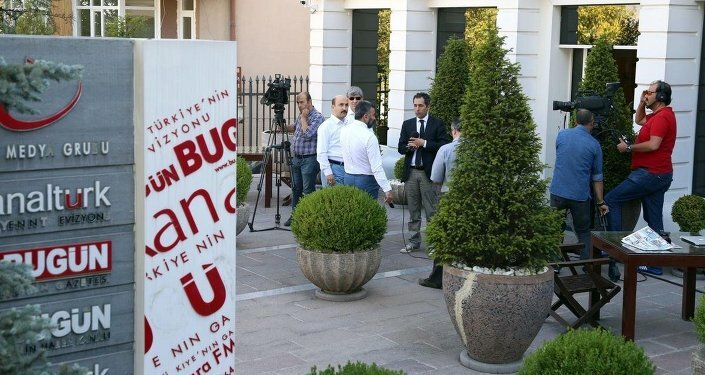 According to media on Tuesday, TMSF listed properties belonging to Kanaltürk and Bugün TV stations along with Millet and Bugün newspapers to be sold at auction. The estimated price set for the properties amounts to $2.6 million in total. Nearly 1,000 companies with $12 billion in assets have been transferred to TMSF since a July 15, 2016 coup attempt. The companies in question were mostly targeted as part of a sweeping state crackdown against the Gülen movement, which the government accuses of masterminding the coup attempt. The movement denies involvement. Among the seized companies are more than 160 media outlets that used to have critical editorial policies toward the government.